Abbesses is a station on Paris Métro Line 12, in the Montmartre district and the 18th arrondissement. Abbesses is the deepest station in the Paris Métro, at 36 metres (118 feet) below ground, it is located on the western side of the butte (hill) of Montmartre. Access to the platforms is usually by elevators, but they can be accessed by decorated stairs. The station opened on 30 January 1913 1). 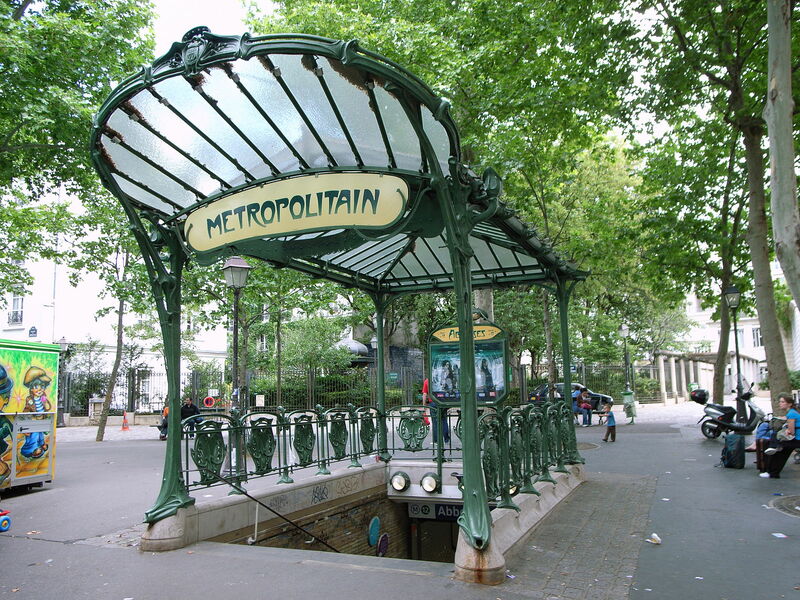 The station's entrance, designed by Hector Guimard (1867–1942), is one of only two original glass-covered Guimard entrances, called édicules (kiosks), left in Paris 2). Abbesses featured in the second album of Revoir Paris.